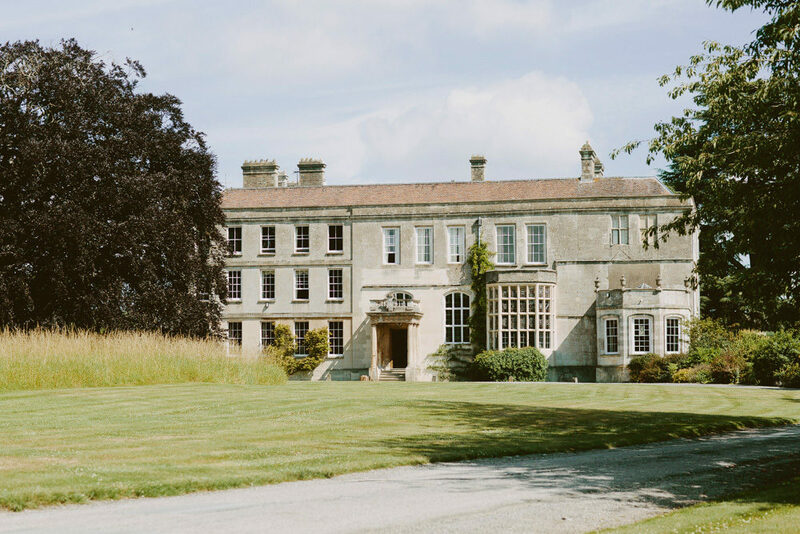 Elmore Court in Gloucestershire will forever be one of our favourite wedding venues, as it’s where our Creative Director Adam, and his beautiful wife Lizzie got married. (You can see their wedding here if you fancy a nose). It really is one of those rare venues that just ticks every box and I can completely understand why Emma and Sameer fell for it’s charm. 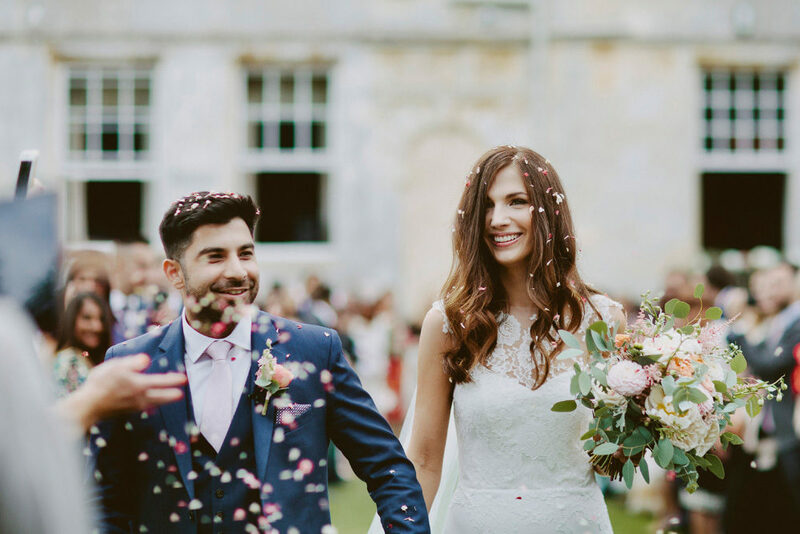 This lovely couple opted for a blush and copper palette, with calligraphy details from the wonderful Ash at Pale Press London and blooms from the talented Rachel at The Rose Shed. The beautiful images are from David Jenkins and I have a feeling his dreamy style is going to make you swoon. 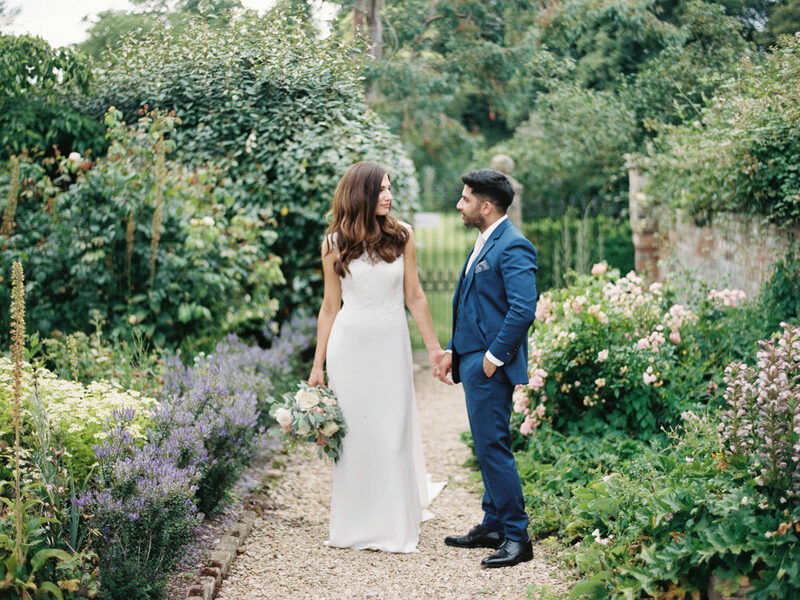 This is truly a throughly beautiful wedding, enjoy! 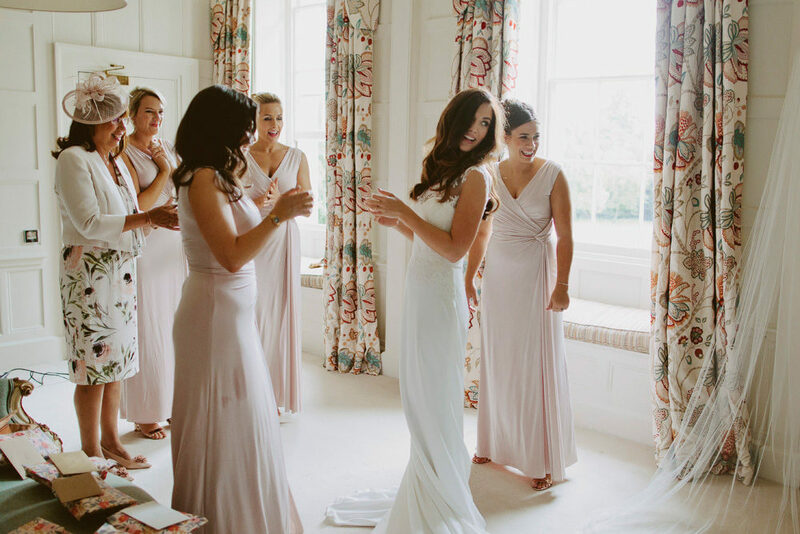 Emma the Bride:My dress was from Atelier Pronovias, and a veil from Angelica Bridal. For hair I had the amazing Simon Izzard who quite simply worked magic! My hair isn’t the easiest, and as I never have my hair up I knew before my trial I wanted it down so I felt like myself. I couldn’t be happier with the end look, natural waves but still far more glamorous than anything I would usually have. Sophie Higginson did my make-up and again I was so happy with the look…I wanted very natural makeup as I don’t wear a lot day to day. I feared a heavy look, but she listened and created a look that I felt so comfortable and happy with. And she was such a dream to have on the day, she made my morning with the girls so much fun. I also have to mention the incredible Lisa at Permanent Glamour London who beautified me head to toe ahead of the day with brows, nails and natural looking lashes. Elmore Court was the one and only venue we saw. From the moment I drove up the drive I fell in love with it, the grounds, the house, and the amazing Gillyflower outbuilding for our evening reception which blew everyone away! It ticked every single box (and we had many boxes! 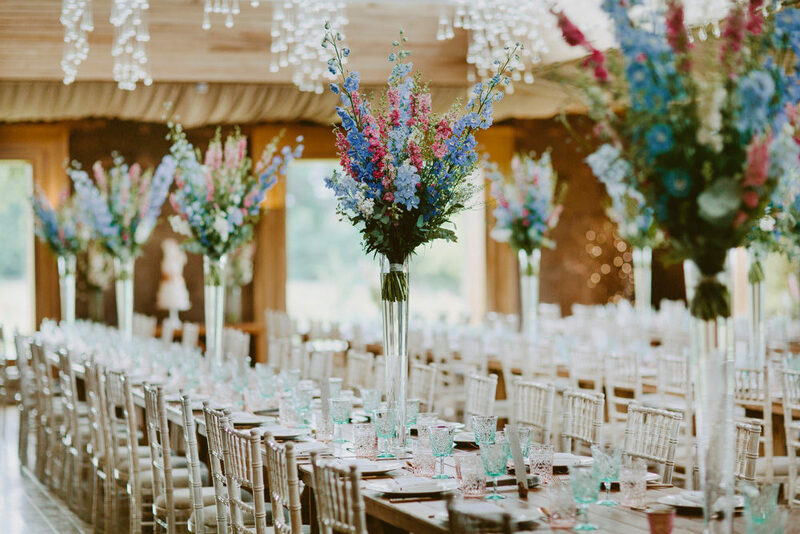 ), it worked for our wedding size of 180 guests, was set overlooking the Cotswold Hills and every part of the venue is truly beautiful. From the second we stepped foot onto the site on our first viewing, to the moment we left the day after our wedding we were made to feel so welcome and special, I can’t thank the team there enough for making sure our day went exactly to plan, and always with smiles! 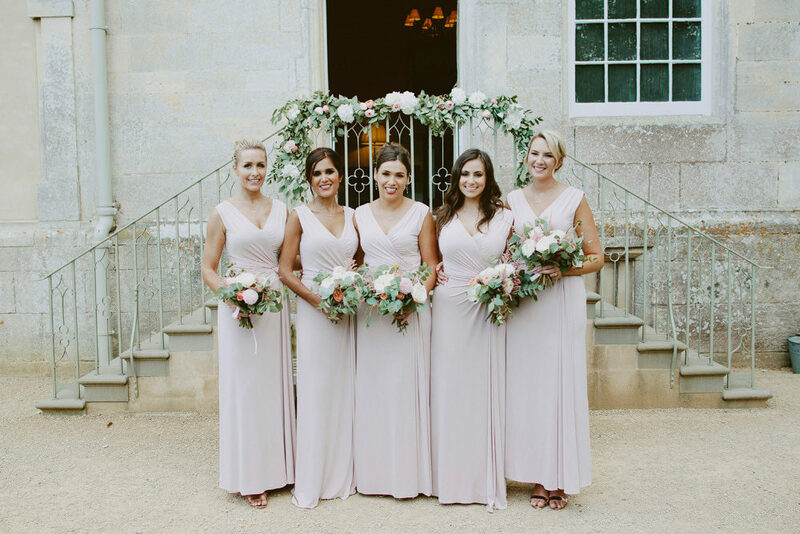 Blush, Rose, Copper and Grey. Elmore Court is so beautiful we didn’t add much décor besides the flowers. The Rose Shed designed and installed all of our flowers on the day, and gave me the most beautiful bouquets! The whole process of working on the flowers was a dream! 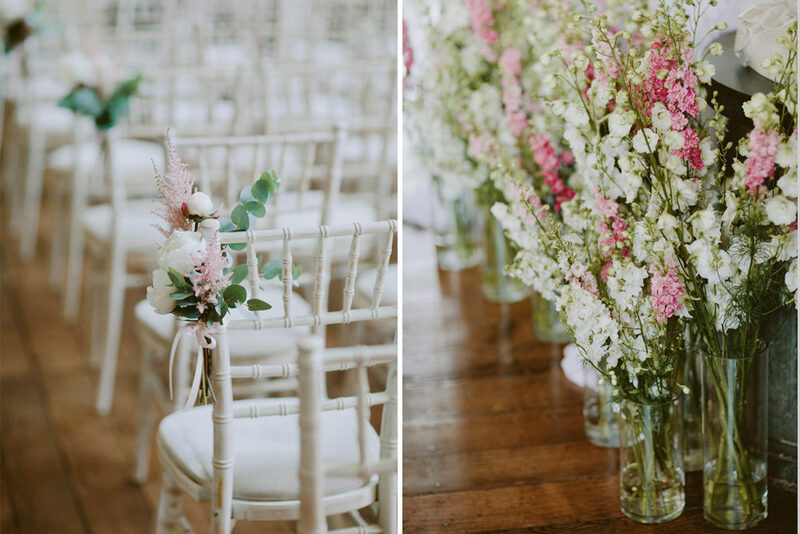 The ceremony and daytime flowers all tied into a whimsical theme with colours in blush, rose, copper and grey, and complimented by plenty of foliage adding a romantic feel. We had tall white larkspur in front of our ceremony table with draped white fabric. Welcome boards, table plans, card boxes and additional signage were all dresses with coordinating flowers. And then for our evening reception we went a little bolder with pops of colour on the tall table arrangements of larkspur and delphinium. I left setting up in the morning to Rachel at the Rose Shed while I got ready and couldn’t be happier with the end result. We had mint and blush glassware, copper cutlery to compliment the tables. 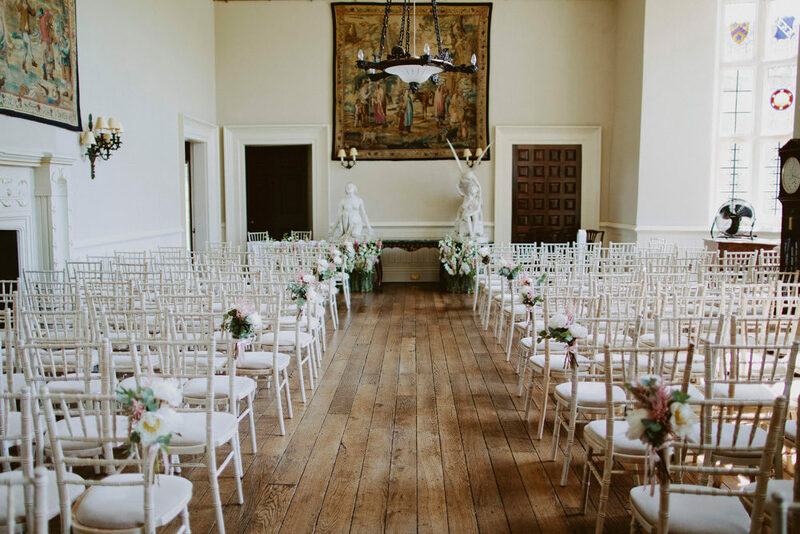 And for our stationary on the day, I had the wonderful Ashley at Pale Press London design and calligraph the most beautiful pieces – Welcome boards, a Table Plan, Table numbers, name cards (hand calligraphed for all 180 guests!) and more! Ashley was so accommodating and patient, I had a few last minute changes and she massively went out of her way to help us! And every single piece was perfect and tied in so well with our vision for the day, I can’t thank her enough! When planning our wedding one of the first things we made sure we arranged was a late licence, so the entertainment for the party was so important. 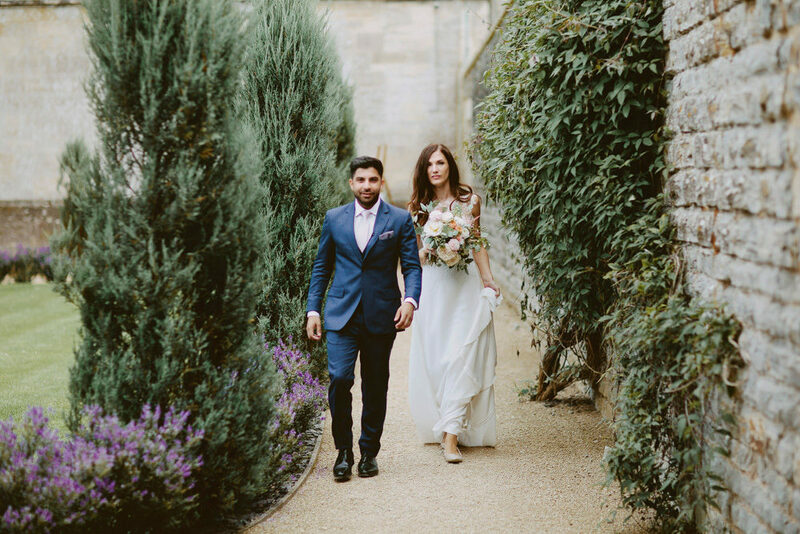 We found Entourage and didn’t look back – working with Andre in the leadup to the wedding was such a dream! He was so passionate about our day and delivering the entertainment we wanted…we had a DJ, live singers, percussion player, electric violin and then Andre himself on sax. It was such a great party, I didn’t think I would dance so much at the wedding but it was impossible to leave the dancefloor! 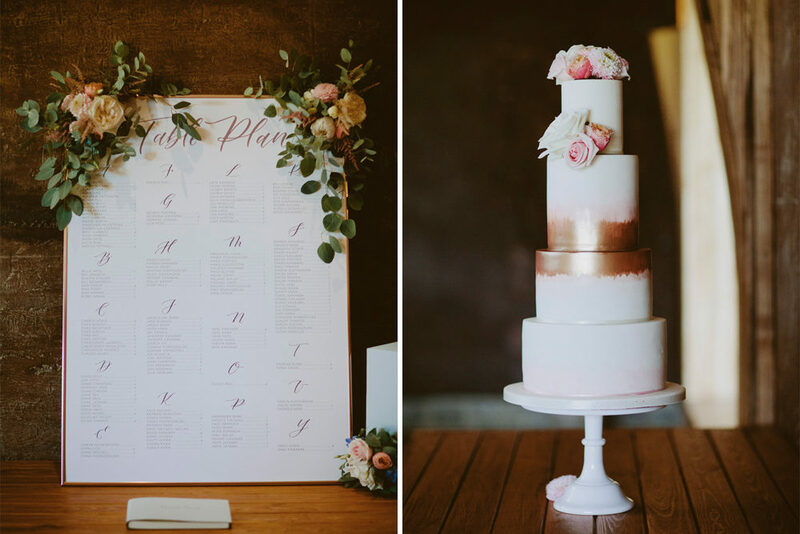 Curtis & Co made us a delicious and beautiful cake tying in our themes of blush and copper. Ahead of the day I even received paint samples to match the exact copper to our theme. 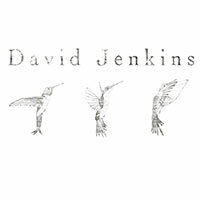 I found David Jenkins online when searching for photographers and instantly loved his style of photography. All of his work is just beautiful! I was really keen to have a photographer we bonded with as you spend so much time with them on the day. From our first Skype meeting I knew David was perfect for us, and made us feel so at ease both in our meetings and on the wedding day, we had so many laughs and loved working with him. Neither Sameer nor I wanted many posed or staged photographs, so most of the photos we have are true moments captured which I absolutely love. 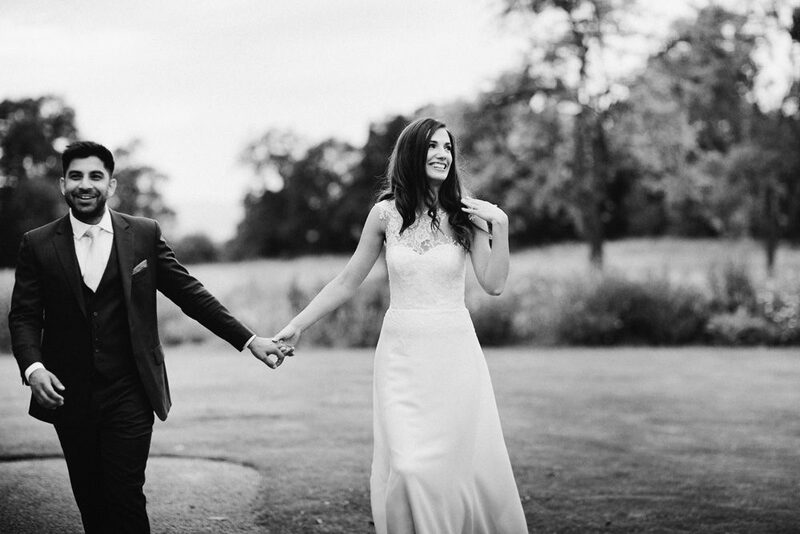 We were delighted with the photographs, the day passes so fast so I’m forever grateful he captured it all so beautifully! We weren’t initially sure on having a video, but I found Skinny Boy Films on Instagram and their films seemed to capture amazing moments, scenery, laughs, and all while looking very natural and shot beautifully. In fact one of the things I loved most about them is that they didn’t need a brief, and on the day we barely noticed they were there. The moments captured, funny captions and music came together to make a film I will always cherish. Such pretty photos, really lovely moments captured here! OMG i love this dress! Wonderfull place anf floral decorations. Look like royal wedding!